Is your child going to be taking the 4th grade CRCT test this year or anytime in the near future? If your answer is 'yes,' then there's a fair chance that you'll help your child using practice tests. 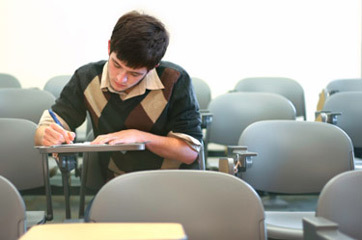 Keep reading to find out more about practice tests and where you can find them. What Is the 4th Grade CRCT Test? The CRCT (Criterion-Referenced Competency Test) is administered to students in Georgia from the 1st-8th grade. Your 4th grader will be tested in reading, language arts, math, social studies and science. The 4th grade CRCT test assesses specific skills based on Georgia's performance standards. For the reading section of the 4th grade Georgia CRCT test, your child must read several passages and answer a few comprehension-based questions about each. If your child is able to gain a basic understanding of what happens in each passage and why, he or she should be fine. For the language arts portion of the test, your child needs to answer questions about grammar, sentence structure, punctuation and alphabetization as it relates to encyclopedia use. The math section of the exam covers graphs, word problems, basic equations, fractions, decimals, addition, subtraction, multiplication and division. You can expect the social studies portion of the exam to deal with American history, geography and politics. Everything from the 13 colonies to the basic workings of the U.S. Congress is covered. Throughout the 4th grade, your child should learn about basic biology, weather, astronomy and geology. When you give your child a practice test, he or she should recognize all of these topics. What Is the Benefit of Sample Tests? Although your child's teacher will prepare the students for the CRCT by teaching all of the skills included in the performance standards, your child can still benefit from taking sample and practice tests. Practice CRCT tests and sample questions can help your child get used to the types of questions that will be on the test. They can also prepare your child to work and concentrate for an extended period of time. You can also administer practice tests to your child to assess where he or she needs the most help. Where Can I Find Practice Tests? You can find practice tests for the 4th grade CRCT at Georgia's Online Assessment System. Schools usually assign children a specific login and password to access the system. If your child doesn't have a school-assigned login, you can use 'Grade4' as your login and password. Once you log in, you should see several sample tests for 4th grade that you can print off and administer to your child. Don't put down those pencils yet; standardized tests for students in New York are about to get longer. The changes are arriving steeped in controversy and criticism, which is nothing new for the state.